Acting as E2.0 SUMMIT Ambassador? Last year I went out Boston for for the Enterprise 2.0 conference there, and also presented at the Santa Clara follow-up. This year, I’m staying closer to home. I presented at the Social Business forum in Milan and hope to attend the Enterprise 2.0 summit in Paris this November too (Dates now 7-8 February,2012). As to why I’m staying home, I think there are three main reasons – firstly, and least importantly, it’s due to pressure of work; secondly, I don’t think the agenda in the US is moving on that quickly, and thirdly I do think the agenda in Europe is catching up fast – so why go to the States when there is so much happening here? My attendance however is going to depend upon free access to the conference, so I’m applying to be an ‘ambassador’. I’m very engaged and committed to this space. 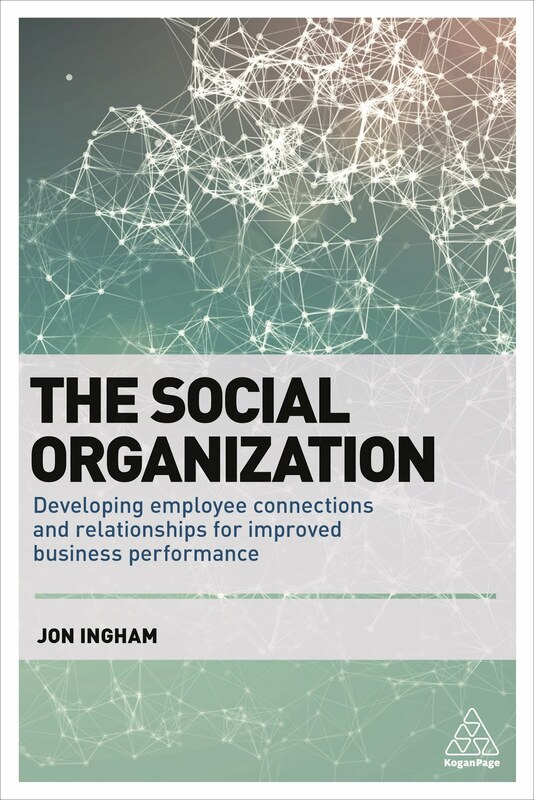 Regardless of its current rate of development, I absolutely understand that Enterprise 2.0 is where most the interesting innovation in social organisational management has been taking place recently. I’ve got credibility in this agenda too, for example I’m going to chairing the UK’s major social management event, the Social Workplace Conference this October too. I’m the sort of attendee that SHOULD be attending. The challenge in Enterprise 2.0 isn’t about technology, its about people, culture and behaviour. Enterprise 2.0 needs to engage HR better than it has. 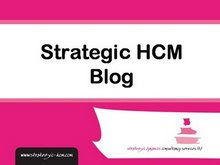 I’m an active conference blogger and will post here on Social Advantage, as well as I’m sure, on some of the more people oriented sessions over at Strategic HCM (which has got a rather bigger readership than here). That should do it. I hope it’s enough – and that you’ll be able to read my posts from the summit later on this year. I’ve been thinking more about the role and importance of community, partly following on from my last set of comments about the MIX, and also because I’m getting ready for the next event (a tweet-up) being run to support the main community that I’m involved in (ConnectingHR). People always seem to have lots of energy and enthusiasm for the community leading up to and following on from these events, but we find it hard to maintain much, even just in the way of conversation, between the events – at least on the community site (connectinghr.org). Yes, there’s quite a lot of chat which continues on twitter (some using the hashtag #connectinghr) but I think partly because of the 140 character limitation, and also because the chat gets mixed up with so many other things, this can only go so far in supporting the community. We’re trying different ways of generating more ongoing support for the community, for example we’ve recently established a council of ‘elders’, or ‘lowerarchy’ (vs hierarchy) but even here, we’ve struggled to get much input from our community elders. But many of these challenges are shared by intra-organisational communities too. This is why I think ConnectingHR is so important – if community management is the new HR, then HR professionals need to gain experience in participating in and leading communities. And there are some big questions associated with communities which I don’t think have been firmly answered yet. An example is the including of community participation in performance management. What we do know is that community participation is a discretionary activity, based upon intrinsic motivation to participate, and that therefore it can’t be directed in the same way as participation in projects and in undertaking day-to-day tasks. However, as communities become more important, and an increasingly important aspect of many peoples’ jobs, I think they’re also too significant to leave out of performance management. The key for me in doing this is understanding that no-one is ever going to be able to contribute to all communities in the same way. 167,113 of Amazon’s book reviews were contributed by just a few “top-100″ reviewers. Over 50% of all the Wikipedia edits are done by just .7% of the users … 524 people. In December 20, 2007 on the MSDN Community site, 1866 edits out of 10851 total edits were made by the top five contributors (three of whom are Microsoft employees). That percentage is slightly above one percent at 1.72%. Just 0.16% of all visitors to YouTube upload videos to it, and 0.2% of visitors to Flickr upload photos. Now it used, maybe, to be the case that people retained these roles from community to community, but I think as more people climb the social technographic ladder (or Altimeter’s Socialgraphic pyramid, Brian Solis’ behaviourgraphics etc), this is starting to change. The new corollary of the 90-9-1 theory, is, I believe, my theory of Individual Divided Participation (as I’ve never seen anyone else propose this before). In this theory, most people can only manage to contribute extensively to 1 (or 2 or 3) communities, maybe support another 9, and to take a back-seat role (to lurk) in another 90. Performance management needs to reflect these different expectations. So a line manager might expect a report to be able to identify a couple of communities that they are actively involved in, as curators and creators. Hard objectives shouldn’t be mandated for these roles, but a manager and report should be able to discuss the broad approach that the employee is going to take to their communities (which ones they are going to invest in, and in what sort of ways). Their performance can they be reviewed, loosly, against these expectations, or against defined behaviours (or competencies). They may also be able to identify a handful of other communities which they involve themselves in, but not to anything like the extent of the above. And they shouldn’t be expected to do anything other than lurk in the other 90. Community oriented performance management should also focus on improving someone’s community involvement, ie for development, than for assessment – initially at least. As for ConnectingHR, the challenge for us, it to find ways that will mean people will attach more importance to this community, so that more people put it as their top, or in their top 2 or 3, community/ies. Not easy to do, but we’re not going to give up. And in the meantime, I look forward to another highly engaging tweet-up tomorrow night! The Management Innovation eXchange (the MIX) has been asking for management hacks and example stories describing how organisations can / are use the values of web 2.0 (including transparency, collaboration, meritocracy, openness, community and self-determination) to overcome the design limits of management 1.0 — and help to create management 2.0. Today was the final day for entries and I’ve been looking through some of them to help the judging panel of Tim O'Reilly, Clay Shirky, Gary Hamel, Umair Haque, Eric Hellweg, Lynda Gratton, James Manyika at McKinsey and Mark McDonald at Gartner to pick a shortlist which will be further developed over the rest of the month. Perspectives (eg content, context and culture, co-creation vs compliance, people centricity, efficient office). I particularly like this one about appreciate knowledge networks as I think most people find web 2.0 a pretty appreciative place, and I’d like to see this as one of its aspects we bring into our organisations. Shame about the software plug at the end though. Organisation eg networked and organic / cell based organisations. My favourite hack is this one on communities which I think provides a great description of the way that organisations might work considerably differently in future. My only issue with all of these is that they miss the crucial and central role of people. So I’ve added these two hacks on people being social, and on change 2.0. And I suppose I could add that I think it’s a shame that the MIX itself can’t exhibit more of the properties of web 2.0 itself. The above hacks and stories are being judged by a ‘stellar roster of judges’ but do we really need these, and a hierarchy of mavericks, mixers, hackers (of which I am one) and others to promote 2.0 perspectives, organisations, processes and technologies? – or do we need MIX 2.0 as well?